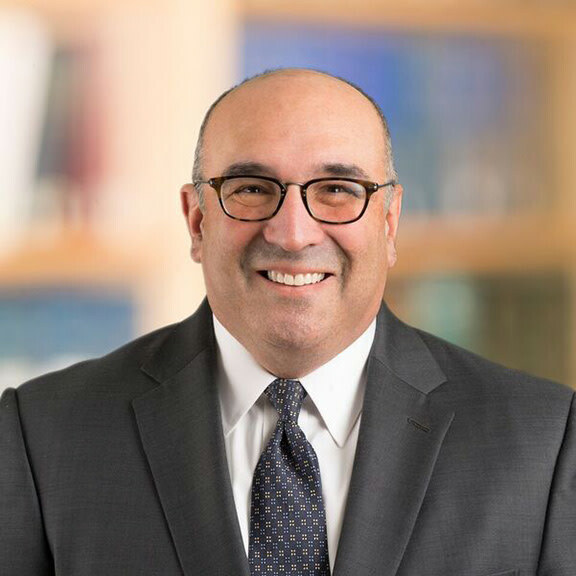 Warren Goldenberg, a partner at Hahn Loeser’s Cleveland office, has more than 30 years of experience as a business law attorney. Warren has extensive experience in mergers and acquisitions, debt and equity financing, technology transfer and commercialization, clinical trials, financial restructuring, joint ventures and strategic alliances, licensing and distribution agreements, entity formation, shareholder disputes, and stock option and restricted stock plans. Warren’s law practice focuses on technology companies and technology transactions, particularly in the life sciences, information technology and materials industries. He has extensive experience representing startup companies, universities and Fortune 500 companies. Warren’s experience with technology companies dates back to the early 1990s when he represented U.S. Biochemical Corp., including the spinoff of Ribozyme Pharmaceuticals, which ultimately went public. Warren oversaw the sale of USB to Amersham Life Sciences. In addition to practicing law, Warren has served as the startup CEO for three life sciences companies. From 2010 to 2015, he served as the part-time CEO of Fluence Therapeutics Inc. in Akron, Ohio. Fluence Therapeutics is a Case Western Reserve University/University Hospitals spin-off company focused on commercializing photodynamic therapy for the treatment of psoriasis and other skin diseases. Among his accomplishments at Fluence include closing a convertible debt financing round, obtaining Northeast Ohio grant funding and implementation of a European commercialization strategy that included the establishment of a subsidiary in Finland and obtaining funding from the government of Finland. He also participated in the European Commission funded Phos-Istos project run by Inserm (the National Institutes of Health of France) and obtained funding from the European Commission. From 2006 to 2009, Warren served as part-time CEO of CardioInsight Technologies Inc., a Case Western Reserve University/University Hospitals spin-off, in Cleveland. CardioInsight is commercializing electrocardiographic imaging, which is used to guide ablation therapy for atrial fibrillation and other arrhythmias. (CardioInsight was sold to Medtronic in June 2015 for $93 million, plus a potential earnout.) Under his leadership, the company closed a Series A venture capital financing and raised grant funding from the Global Cardiovascular Innovation Center. It also grew to seven employees, initiated clinical trials and hired a full-time CEO in connection with a Series B financing. Warren formed Imalux Corp. in Cleveland and managed the company from 1996 to 2001. Imalux commercialized optical coherence tomography imaging technology developed at the Russian Academy of Sciences for catheter-based imaging of epithelial tissues. He obtained grant funding from the State of Ohio and initiated clinical trials at the Cleveland Clinic. In 2001, he recruited a full-time CEO, secured Series A venture capital financing and continued as a board observer representing the Institute of Applied Physics of the Russian Academy of Sciences. Warren Goldenberg quoted in, "Psoriasis treatment; throat-stimulating device get $25K grants"
Warren Goldenberg featured in, "Case Study in Tech Transfer." Warren Goldenberg is the start-up CEO for CardioInsight Technologies and is quoted on developments in, "Heart-imaging Firm Gets Seed Money." Warren Goldenberg quoted in, "Imalux Shifts Focus to Putting Its Product into Practice." Warren Goldenberg and Scott Oldham quoted in, "Frivolous Patent Suits Drawing Industry Attention." Warren Goldenberg is quoted in, "New Leadership to Refocus IT Alliance"
"Basics of U.S. Export Controls," Warren Goldenberg, Esq. "Funding alternative energy startups in today’s economic climate," Warren Goldenberg, Esq.